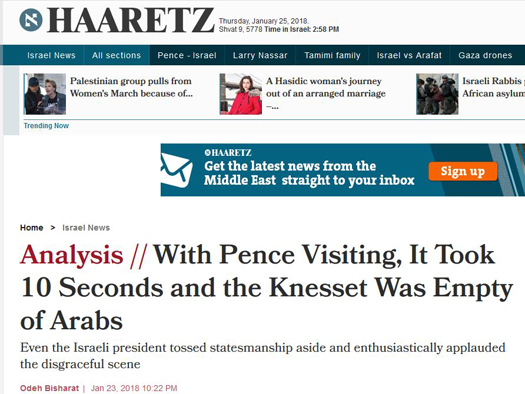 Both the headline and the text of a Haaretz analysis by Odeh Bisharat last week falsely claimed that the Knesset was emptied of Arabs during U.S. Vice President Mike Pence’s speech (“With Pence Visiting, It Took 10 Seconds and the Knesset Was Empty of Arabs,” Jan. 23). Not all Israeli Arab Knesset members violated Knesset rules and participated in the Joint List’s disruption of Pence’s speech. 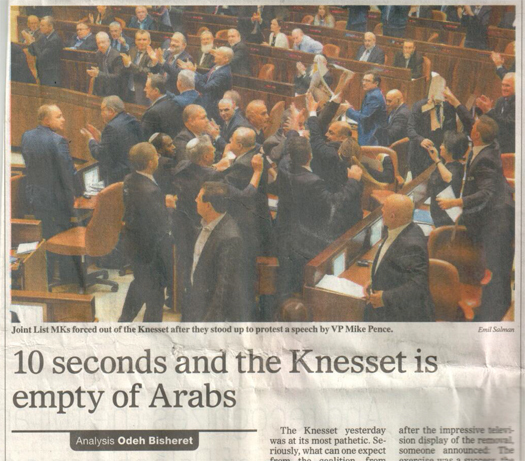 Israeli Arab Knesset members who did not disrupt the speech, were not removed. 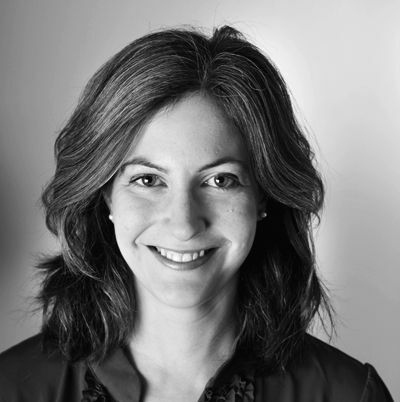 For instance, CAMERA reached the offices of MK Issawi Frej (Meretz) and MK Zouhrair Bahloul (Zionist Union), and both confirmed that they stayed until the end of the vice president’s speech. In addition, Druze Knesset members MK Salah Saad (Zionist Union), MK Hamad Amar (Yisrael Beiteinu), MK Akram Hasson (Kulanu), and MK Ayoub Kara (Likud) all remained throughout Pence’s speech. Haaretz has been informed of the falsehood. As of this writing, there has been no correction.